The 2018 ICC Under-19 Cricket World Cup was an international limited-overs cricket tournament that was held in New Zealand from 13 January to 3 February 2018. It was the twelfth edition of the Under-19 Cricket World Cup, and the third to be held in New Zealand (after the 2002 and 2010 events). 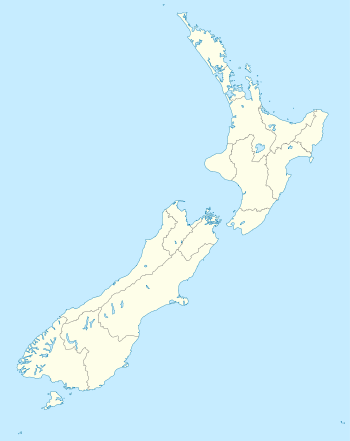 New Zealand was the first country to host the event three times. The opening ceremony took place on 7 January 2018. The West Indies were the defending champions. However, they failed to defend their title, after losing their first two group fixtures. Following the group stage fixtures, Afghanistan, Australia, Bangladesh, England, India, New Zealand, Pakistan and South Africa had all qualified for the Super League quarter-final stage of the tournament. The other eight teams moved to the Plate League to determine their final placements in the competition. Sri Lanka went on to win the Plate League, giving them a final position of ninth overall in the tournament. In the first Super League semi-final, Australia beat Afghanistan by 6 wickets to progress to the final. In the second semi-final, India beat Pakistan by 203 runs to advance into the final. In the third-place playoff, no play was possible due to rain and a wet outfield. Pakistan therefore finished in third place, as they finished their group ahead of Afghanistan on net run rate. In the final, India beat Australia by 8 wickets to win their fourth Under-19 World Cup, the most by any side. The ten full members of the International Cricket Council (ICC), as of 2016, qualified automatically for the tournament. Namibia, which placed seventh at the 2016 World Cup, also qualified automatically as the highest ranked associate member. The other five places in the tournament were awarded to the winners of the five regional under-19 tournaments. On 3 January 2018, the ICC appointed the officials for the tournament. Along with the seventeen umpires, Jeff Crowe, Dev Govindjee, David Jukes and Graeme Labrooy were also named as the match referees. Each team selected a 15-man squad for the tournament. Any players born on or after 1 September 1998 were eligible to be selected for the competition. The fixtures for the tournament were confirmed by the ICC on 17 August 2017. New Zealand and South Africa qualified for the Super League quarter-finals as a result of this match. Rain reduced the match to 20 overs per side. Jason Ralston (Aus) took the best bowling figures in a group stage match at the U19 Cricket World Cup. However, his record was surpassed by Lloyd Pope who took the best bowling figures of 8/35 in U19 Cricket World Cup history in the knockout stages. India and Australia qualified for the Super League quarter-finals as a result of this match. England and Bangladesh qualified for the Super League quarter-finals as a result of this match. Rain reduced the match to 48 overs per side. Rain reduced the match to 38 overs due to rain. Afghanistan qualified for the Super League quarter-finals as a result of this match. Pakistan qualified for the Super League quarter-finals as a result of this match. Hasitha Boyagoda (SL) made the highest individual score in U19 ODIs as well as in the history of the U19 Cricket World Cup (191). Lloyd Pope (Aus) took the best bowling figures in a U19 World Cup match. No play was possible due to a wet outfield. Pakistan finished in third place as they finished their group ahead of Afghanistan on net run rate. India won their fourth U19 World Cup, the most by any team. Manjot Kalra (Ind) became the fifth batsman to score a hundred in an U19 World Cup final. ^ a b "Tauranga, Whangarei to host U-19 World Cup games". International Cricket Council. Retrieved 29 May 2017. ^ (10 January 2016). "BACK TO THE FUTURE - History of ICC U19 Cricket World Cup" – International Cricket Council. Retrieved 14 February 2016. ^ "ICC U19 Cricket World Cup opens in New Zealand". International Cricket Council. Retrieved 7 January 2018. ^ "West Indies win U-19 world cup". ESPN Cricinfo. 14 February 2016. ^ "Afghanistan, New Zealand and South Africa qualify for super league as Windies fail to defend title". International Cricket Council. 17 January 2018. ^ "Afghanistan, NZ, South Africa qualify for Super League". Times of India. Retrieved 21 January 2018. ^ "ICC U-19 World Cup: Australia, Pakistan Join India in Quarter-finals". News18. Retrieved 21 January 2018. ^ "ICC U-19 World Cup: India face Bangladesh in quarter-finals". Times of India. Retrieved 21 January 2018. ^ "Teams look for crack combinations in Super League". International Cricket Council. Retrieved 21 January 2018. ^ "Boyagoda, Lakshan help Sri Lanka beat Windies and win Plate Championship". International Cricket Council. Retrieved 28 January 2018. ^ "Australia coast into Final on back of Merlo four-for, Edwards half-century". International Cricket Council. Retrieved 30 January 2018. ^ "Ruthless India seal spot in final with 203-run win". International Cricket Council. Retrieved 30 January 2018. ^ a b "Pakistan finish third after rain forces abandonment". International Cricket Council. Retrieved 1 February 2018. ^ a b "Stats: The key numbers from India's U19 CWC Final triumph". International Cricket Council. Retrieved 3 February 2018. ^ a b Andrew Nixon (11 February 2016). "Namibia beat Nepal – secure 2018 qualification" – CricketEurope. Retrieved 14 February 2016. ^ (4 February 2016). "Outcomes from ICC Board and committee meetings" – International Cricket Council. Retrieved 14 February 2016. ^ "Afghanistan Qualifies For U19 WC 2018". Tolo News. Retrieved 25 July 2017. ^ "Kenya stun Uganda to qualify for U19 World Cup 2018". International Cricket Council. Retrieved 8 July 2017. ^ "Afghanistan seals U19s World Cup spot". International Cricket Council. Retrieved 26 July 2017. ^ "PNG Garamuts off to eighth U19 Cricket World Cup". International Cricket Council. Retrieved 14 August 2017. ^ "Ireland hold nerve to qualify for U19 World Cup". International Cricket Council. Retrieved 1 August 2017. ^ "ICC U19 Cricket World Cup 2018 schedule announced". International Cricket Council. Retrieved 17 August 2017. ^ "WI U-19s to open 2018 World Cup campaign against hosts NZ". ESPN Cricinfo. Retrieved 17 August 2017. ^ "Makwetu, Rolfes lead South Africa into quarter-finals". ESPN Cricinfo. Retrieved 17 January 2018. ^ "Record wicket haul was 'unreal' - Ralston". International Cricket Council. Retrieved 19 January 2018. ^ "McSweeney 156, Ralston 7 for 15 bulldoze PNG". ESPN Cricinfo. Retrieved 19 January 2018. ^ "Gill, spinners lead rout of Zimbabwe". ESPN Cricinfo. Retrieved 19 January 2018. ^ "England march into quarter-finals with massive win". ESPN Cricinfo. Retrieved 20 January 2018. ^ "Afghanistan beat Sri Lanka to seal quarter-final berth". ESPN Cricinfo. Retrieved 17 January 2018. ^ "Pakistan seal quarter-final berth, Sri Lanka knocked out". ESPN Cricinfo. Retrieved 18 January 2018. ^ "Hasitha Boyagoda's 191 helps Sri Lanka go past Kenya". Cricinfo. Retrieved 25 January 2018. ^ "Lloyd Pope spins Australia to stunning comeback win". International Cricket Council. Retrieved 23 January 2018. ^ "Manjot Kalra's ton leads India Under-19 to World Cup glory". ESPN Cricinfo. Retrieved 3 February 2018.